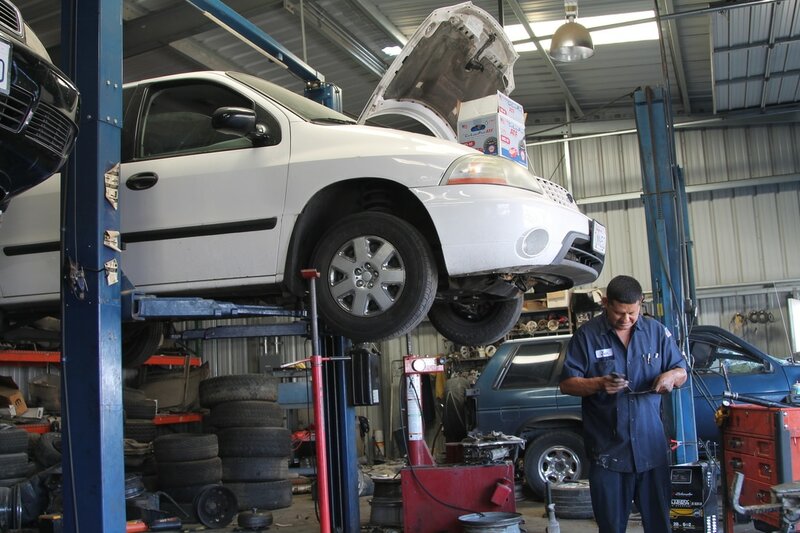 We provide quality automobile car dismantling to Lancaster and various parts of the Antelope Valley. Call Us Today! 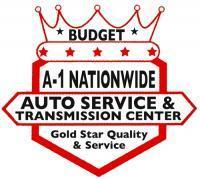 We are one of the best in the Antelope Valley. We are the least expensive junkyard company! 1. Why buy used auto parts? The three major reasons to choose used parts are availability, price and quality. Used parts are readily available, reasonably priced, and were manufactured to OEM quality standards. Also, recycling through the use of used parts is good for the environment. 2. What is the quality of used parts? Sheet metal is OEM quality. Mechanical parts are built to OEM specifications with consideration given to vehicle mileage. We purchase salvage vehicles that were in good to excellent condition prior to casualty loss. All our vehicles are fully documented with vehicle identification numbers and mileage stored in computer and paper archives. 3. Do you sell new or rebuilt parts? Yes.1000s of parts for your vehicle to request on-line. 4. Where do you get your cars for parts? Most of our vehicles are purchased from insurance salvage sources in the Western U.S. Some of them are purchased from automotive dealers and from individuals. In all cases, we are looking for vehicles that were in good to excellent condition and low mileage prior to casualty loss. We do not purchase vehicles for scrap. 5. Do you sell damaged parts? Damaged parts are sometimes requested by customers because non-damaged parts are unavailable or there is an opportunity for substantial savings. We sometimes do sell damaged parts for those reasons. Often, damage is minor and repairable, such as a minor ding in a door or a scratch on a bumper. We Provide you with a 30 day guarantee, as we are strong believers of good karma. 6. Can you locate parts you don’t have in inventory? Absolutely! We have access to inventories from hundreds of yards throughout North America. Though most of other salvage yards do not have nearly the quantity and quality of our inventory, taken as a group there are millions of parts available. We know which dismantlers to purchase from where quality is an issue and can usually have your part to you within a few days. 7. When I buy an engine, what comes with it? As a rule, engines are complete assemblies including manifolds, oil pan, timing belts and covers, fuel injection or carburetor, We Guarantee only the long block. The manifolds, oil pan, timing belts and covers, fuel injection or carburetor, are not. . Starters, and front accessories, such as air compressor, alternator, power steering pump are usually not included. If additional parts are requested, we will adjust the price accordingly. 8. What if I can’t find a particular product I’m looking for? We are constantly adding new items to our site at the rate of 250 to 1000 a month. If you are looking for something in particular that is not on our site please fill out a request form or e-mail us and let us know. We will try to locate it for you. 1. Why buy a repairable vehicle? The major reason for purchasing a repairable vehicle is price and cost of ownership. A repairable car is discounted for much more than the cost of repairs. Repaired cars are often sold two to three years after purchase for near the original investment. Mileage and maintenance will affect normal depreciation in the same manner as with new or used vehicles. 2. How much can I save when I buy a repairable vehicle? The amount or percentage of savings depends on the type of car and the model year, but is usually substantial. Of course, repair costs and quality must be considered carefully and factored into the total cost prior to the purchase. The person or company repairing the vehicle should always carefully estimate the repairs prior to the actual purchase. Often, two or three estimates are obtained by customers when they will not be the one to repair a vehicle being purchased. 3. Who buys repairable cars? Most purchasers are repair shops, brokers, and individuals in the northeastern U.S. Some vehicles are sold in other areas of the U.S. and internationally when the price level of the repaired car will justify shipping costs. 4. Who fixes repairable cars? Most rebuildable cars can be fixed by body shops and garages. In some cases, individuals fix their own cars, especially if there is no structural damage to consider during the repair process. 5. Where do you get repairable cars? Most of our repairable cars are purchased from insurance salvage sources in the South-Eastern U.S. Some cars are purchased from automotive dealers, shops, and directly from individuals. In all cases, we are looking for vehicles that were in above average to excellent condition prior to casualty loss and will provide good value for our customers. 6. How safe are repairable cars after being fixed? When properly fixed, repairable cars are as safe as other cars on the road which have not been repaired. 7. What type of title do repairable cars have? In the U.S., vehicles are titled by the individual states and the type of title a repairable car will have depends on the state the car is titled in. Some states re title repairable vehicles, Salvage, while others leave the original title with the vehicle. Your state motor vehicle department or our title department can assist you with this. 8. ALL VEHICLES ARE SOLD AS IS, SO BUYER BEWARE!! Please note: All vehicles sold “AS IS, WHERE IS”, with no warranty, expressed or implied, except as to ownership of the vehicle. No warranty is made with respect to the accuracy of the information on this sale list. Please inspect the vehicles carefully. 1. Where and how do you deliver parts? On our trucks, we deliver to commercial addresses within most of USA. For residential addresses within that area and for addresses beyond our immediate delivery area, we ship parts via U.P.S., Federal Express, and other freight companies. We ship parts throughout the U.S. and internationally. 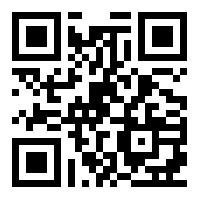 We can ship to APO Addresses. 2. How soon will I receive my parts? 5-15 business days. Orders received by 3:00 p.m. EST for parts in our warehouses are delivered or shipped the next business day. Orders received after that time may also be ready for delivery or shipment the next day, which we will try to do. Most of our parts are already removed from vehicles and are in warehouse locations. Parts that must be removed from incoming vehicles are usually ready for delivery or shipment within 24 to 48 hours, as the car is often completely dismantled at that time. We do everything possible to schedule car processing to meet the earliest possible shipping time. Parts that must be located may take several days. Shipping time will vary with distance and the physical size and weight of the part. Overnight delivery is available for parts being shipped via U.P.S. or Federal Express. Call us for more information! 3. Are there any parts that you can’t ship? We can deliver any part with the exception of catalytic converters which may not be sold as used parts according to U.S. federal law. Most parts can be shipped world-wide. Since air bags contain explosives, they can not be shipped air freight. 4. Where and how do you deliver repairable cars? We deliver repairable cars to most of USA. Outside of our immediate delivery area, we ship cars using various shippers to deliver within the U.S. and internationally. 5. Do you charge for delivery? We do charge for delivery or for standard ground UPS. 1. How much do used parts cost? Used part prices are influenced by age, type of car, availability, and demand. Generally, used parts cost between 30% to 70% of the amount of a new part. Used part assemblies offer more value by including additional parts and pre assembly. 2. What is a “core” charge? A core charge is an amount added to the price of a part that will be fully refunded when the original defective or damaged part is returned for recycling within 30 days of the purchase. Core charges help keep costs down by encouraging the return of parts for further recycling. 3. When do core charges apply? Core charges apply to some small electric parts such as alternators and starters, and other recyclable parts such as air conditioning compressors, drive axles, steering gear assemblies, engines, and transmissions. If the exchange part is turned in at the time of purchase, a core charge will not apply. We accept U.S. currency or funds, MasterCard, Visa, American Express and Discover. 5. Can I place my order on-line? Yes through our on-line catalog, and product links where you find 1000’s of parts. Absolutely! In fact, it’s statistically safer to use your credit card over the Internet than in a restaurant or department store. We warranty all parts for a period of 90 days from date received. Parts not defective may be returned for within 30 days of purchase, subject to acceptance and a 20% handling charge. A Return Authorization Number (RAN) must be obtained from sales or customer service. To be returnable, parts must be in the same condition as when sold, return freight prepaid. Orders that are cancelled before delivered, are subject to 20% handling plus freight charges. As a rule, engines are complete assemblies including manifolds, oil pan, timing belts and covers, fuel injection or carburetor, We Guarantee only the long block. (Block and Heads) The manifolds, oil pan, timing belts and covers, fuel injection or carburetor, wiring harnesses, oil leaks, are not. We guarantee, no knocks, cracks, excessive oil burning, Our warranty covers the replacement of a defective part within the original warranty period. We warranty all parts for a period of 90 days from date received by purchaser or installer, Extended Warrantees, lengthen that time period. Engines, Transmissions, Cylinder Heads, Transfer Cases, Rear Ends, must be installed by a certified mechanic, Overheating voids guarantee, Make sure the heat tab is not melted or missing. Flow-check the radiator and repair it if necessary. Timing belts/chains must be changed on overhead cam engines. Warranties only apply to parts replacement. if a replacement part cannot be obtained a full refund will be issued to the original purchaser. Any refunds or exchanger must be accompanied by the original sales invoice. Warranties are limited to the original parts purchaser and are non-transferable. All used parts purchases are subject to terms and conditions of the Standard engine and Parts Warranty. 3. What if I order the wrong part? If you order the wrong part, please let us know as soon as possible by calling the original salesperson or customer service. We will stop shipment when possible or arrange a replacement under our 30 day return policy. 4. What if you ship the wrong part? Although we do everything we can to get the right part to you, unusual mistakes can happen. If we ship the wrong part, we will pick up the part or pay the return freight, replace the part. Please let us know immediately if you receive the wrong part, by calling your original salesperson or customer service. Sorry we do not guarantee any labor what so ever. We respect the privacy of our visitors & customers, those who enter our contests and forums, and those who fill out our questionnaires, and do Not sell or rent our lists to third parties for e-mail marketing For each visitor to our Web page, our Web server doesn’t automatically recognize information regarding your domain or e-mail address. We collect the e-mail addresses of those who post messages to our site, the e-mail addresses of those who communicate with us via e-mail and information volunteered by the consumer, such as survey information and/or site registrations. The information we collect is used to improve the content of our Web page, used to notify consumers about updates to our Web site and used by us to contact consumers for marketing purposes. If you do not want to receive e-mail from us in the future, please let us know by sending email to us at the above address with the word “remove” in the subject line. 1. Which is the left side and which is the right side of a car? We’re familiar with every item we carry, and not only can we help you find what you’re looking for, we can recommend products to best suit you and your auto needs. 2. Do you buy privately owned vehicles? Yes. We do buy privately owned vehicles that have proper documentation and meet our product quality criteria. 3. Why do you need to provide the VIN number? Because the VIN number tells us all the necessary information we need to know to find the correct part for your vehicle (make, model, year, engine, brake system etc…). Actually most of other information is irrelevant. 4. What do you do to protect the environment? It is our business! We have the state-of-the-art equipment for handling batteries, tires, oil, gasoline, Freon and other vehicle liquids so that they will be properly recycled or sent to the facilities which will properly handle disposing. Take our word; WE CARE! Our unbeatable rates are only the beginning of what you’ll enjoy as a customer of . We also offer full radiator and muffler service, and that means 7 days a week, and 365 days a year. Someone will always be here when you call, even on a slow Saturday night or on Christmas Day. All of our tow truck drivers, auto mechanic assistance technicians, and auto transmissions experts are on call during weekends and holidays, and it will take their incredible expertise to fix your car no matter how late it is when we receive your call. with us when it comes to knowledge, experience, and expertise. Auto Brake Service, Auto Parts, but we also love to buy scrap metal and even expensive metal. car service & repairs, Drives, Engine, Engine Parts, Engines, Engines & Engine Parts, Front Wheel, Front Wheel Drive, Junk, Junk & Scrap Parts, Motor Parts, Motor Repair, Automotive California, Parts and supplies California, Drive Shafts California, Auto California, Auto Brake Service California, Auto Parts California, Automobile Parts California, Automobile Repair California, Automobile Service California, Automobile Wrecking California, Automobile Wrecking & Salvage California, Automotive Repair California, Axles California, Body Parts California, Brake Service California, car service & repairs California, Drives California, Engine California, Engine Parts California, Engines California, Engines & Engine Parts California, Front Wheel California, Front Wheel Drive California, Junk California, Junk & Scrap Parts California, Motor Parts California, Motor Repair California, Automotive Lancaster, Parts and supplies Lancaster, Drive Shafts Lancaster, Auto Lancaster, Auto Brake Service Lancaster, Auto Parts Lancaster, Automobile Parts Lancaster, Automobile Repair Lancaster, Automobile Service Lancaster, Automobile Wrecking Lancaster, Automobile Wrecking & Salvage Lancaster, Automotive Repair Lancaster, Axles Lancaster, Body Parts Lancaster, Brake Service Lancaster, car service & repairs Lancaster, Drives Lancaster, Engine Lancaster, Engine Parts Lancaster, Engines Lancaster, Engines & Engine Parts Lancaster, Front Wheel Lancaster, Front Wheel Drive Lancaster, Junk Lancaster, Junk & Scrap Parts Lancaster, Motor Parts Lancaster, Motor Repair Lancaster, and , Antelope Valley auto repair, and much more.